Free video calling has become a trend nowadays. You can converse with your family and friends quite easily through video calling which is totally free and only requires a good Wi-Fi network. Video calling is now used in offices for meetings and for interviews as well which in turn saves the transportation cost to a large extent. skype alternatives are the leader of all when it comes to video calling. It was basically the first ever app which started the trend of video calling and gradually it became a craze among the people all around the world. Initially, it was only available for the Windows desktop but gradually it came up in the form of an app for the Smartphone as well. But due to its excessive usage, Skype starting creating some problem and people started facing certain troubles like low-quality calls, excessive crashes and other faults due to which people actually started disliking the app. This was actually an advantage for the competitors which led them to develop apps which could work as an alternative to Skype. People who were fed up of Skype started downloading these alternative apps as they were also just like Skype totally free of cost and had all the features of Skype with some extra as well minus the halts that people faced in the Skype app. These skype alternatives have quite amazing features and are available for both Windows desktop as well as for the Smartphone in the form of an app. So, here we are providing you a list of free Skype alternatives for the Windows desktop. Hangouts are the most popular app when it comes to free video calling after Skype. It basically has all the features of Skype like text messaging, video calling and audio calling. You just need to search for the person with whom you want to chat with by entering his/her email address or mobile number whichever you have. Apart from that, just like Skype, you can even create groups of a maximum of 10 people and can chat with all of them at a time. 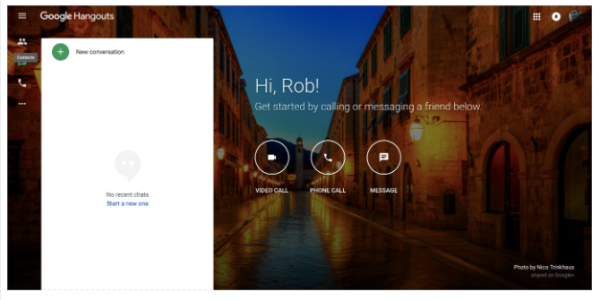 Hangouts also automatically access your Google contacts and then sync it with your hangout account. Another cool feature of this app is that audio calling can be made to mobile as well as landline phone and those who do not use iOS devices can chat through the home messenger as well. It has only one negative aspect that its desktop app is not that cool as the one available for the Android user. 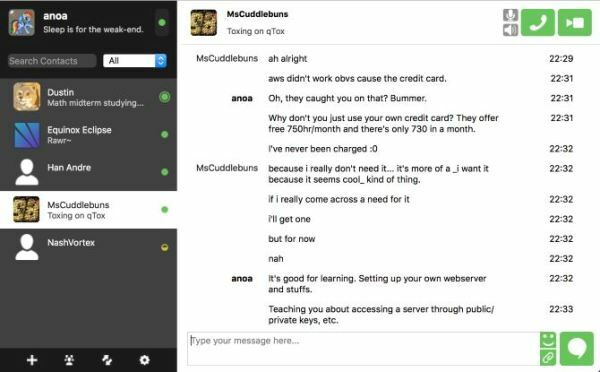 But all in all, it is a good alternative for Skype. ooVoo is also a very great skype alternatives app. It offers you audio and video calls of a very high quality and you can even create groups in this app. This app is mostly used for group conferences. In this, you can create a group of up to 12 people and can chat with them whether in audio or video format the same time which is actually great. Apart from that, you can even do text messaging and that also free of cost. This app is the best for those who are into social networking as it helps you to connect with a large number of people and make you more socialized. This app has another amazing feature which is that you can record your video calls and can also send a photo or video message through the text messaging option and yes if you are into a group video chat on a desktop, then you can actually watch a movie on YouTube which is just amazing. 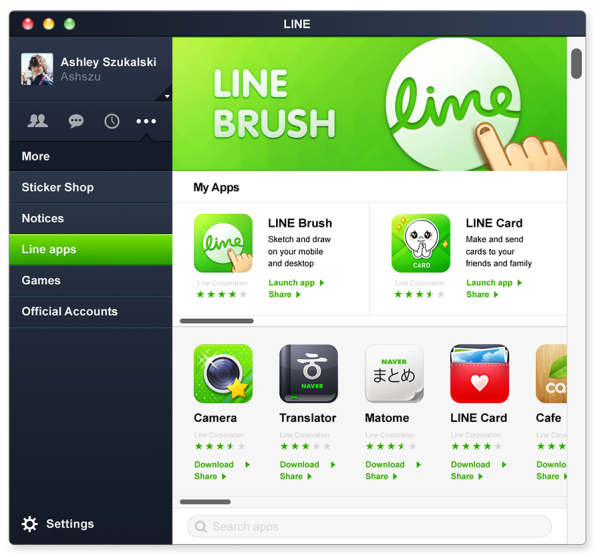 The line is another skype alternatives which can be used instead of Skype. It has been launched quite recently and has some amazingly unique features. Just like Skype, you can do audio, video calling and can even do text messaging via its quite cool messenger. Apart from Windows desktop, it is also available in the form of an app for both iOS and Android Smartphones. You can even create groups in this app and to make your chats look amazing and more expressive, Line provides you with some really cool animated stickers which are quite in number and you can send them to your friends to make your chat more jazzed up. Some of these stickers are totally free of cost but some of them are paid ones. You can even leave a voice message on the Line messenger if someone is not available for the chat. 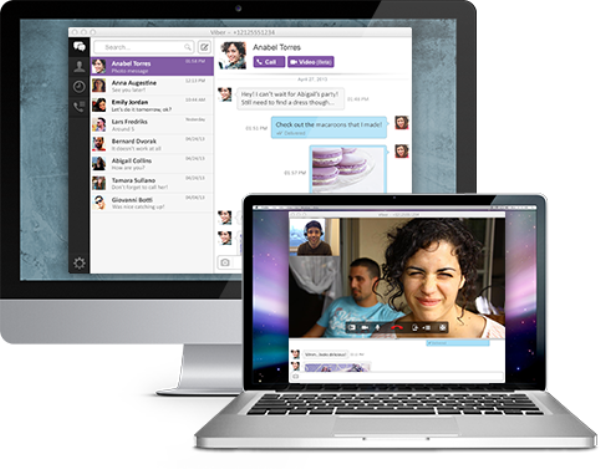 Viber is another very cool skype alternatives and is quite a modern kind of an app having amazing features. The features include video calling, audio calling and group chats with some really cool stickers. The most amazing feature of Viber is its hands-free mode accessibility and the high voice quality without any kind of interruption. You can even connect with popular people and websites with the feature of public chats. So, these are the top most apps which can be the best skype alternatives.